With ZOEVA’s Smudger Brush (226) you can wave goodbye to uneven eyeshadow and panda eyes – this little beauty features densely packed bristles to easily blend liner and powder shadows along the lash line. ZOEVA’s high-performing brushes not only look beautiful, but also are considered among the best in the business, enabling you to blend and buff like a pro. This delicate eyeshadow brush allows you to define along the lashline flawlessly, with a flat, almost rectangular brush head for neat application. The design features a wooden handle, metal ferrule and vegan taklon bristles and is available in classic black, rose gold and bamboo. ZOEVA’s collection of brushes are beloved by professionals and make up devotees alike, each one delivering a flawless finish so you can boss even the trickiest of make up techniques. The Smudger Brush is the perfect tool to apply, shade and blend eyeshadow and kohl liner along the lash line. 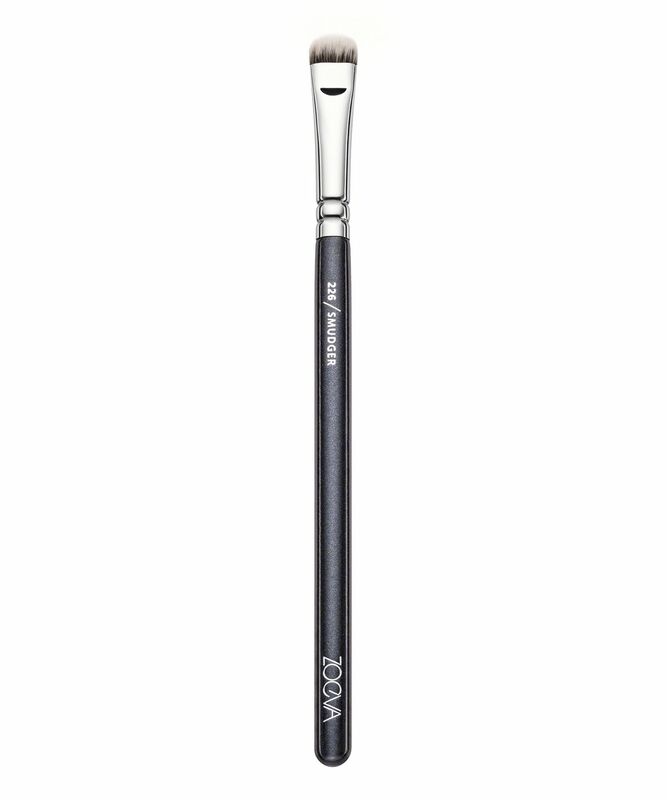 The professional shape of the brush easily creates smoky eyes and seductive cat eye looks. Great brush, also perfect for applying glitter. I bought this brush so I can use it for my lower lash line. It is too stiff for my liking, but as it is originally meant to be used for smudging the eyeliner, I can not complain too much. It is good for smudging, but I would prefer a softer brush.